Congratulations, Mary! It was a close run, but the voters loved your Mad Libs story. And a special thank-you to everyone who entered the contest and voted for their favorite response. You all came up with some entertaining little stories that I hope you enjoyed creating and reading. And thanks, once again, for making this year’s Coffin Hop another kickass Halloween extravaganza! Don’t forget to make your final hop around the blogs to see if you won anyone’s giveaways and to wish all of your favorite Coffin Hoppers a very HAPPY HALLOWEEN! Tomorrow is Halloween! Whatever you do to celebrate, I’m guess it involves at least 2 things: carving a pumpkin and Coffin Hopping! There’s still time to enter some of these great bloggers’ contests, so get hopping and go win yourself some free stuff. As for my contest, don’t forget to VOTE VOTE VOTE by midnight tonight for your favorite Halloween Mad Libs! It is voting season, after all, so go exercise your civic right to choose. Pick your favorite story; for those who entered, tell your friends and family to get over there and vote! Winner will be announced tomorrow. And now, time for this year’s Jack-o-Lantern! 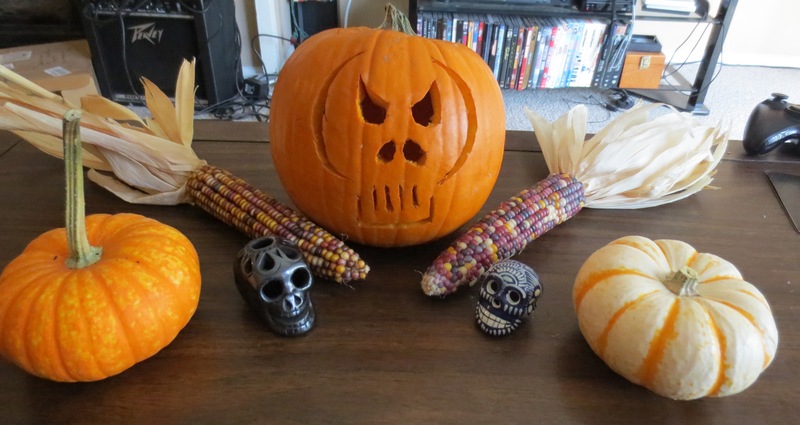 Here’s a lovely display of my skull pumpkin, more skulls and pumpkins, and some decorative corn. But it looked much better lit up with a candle. 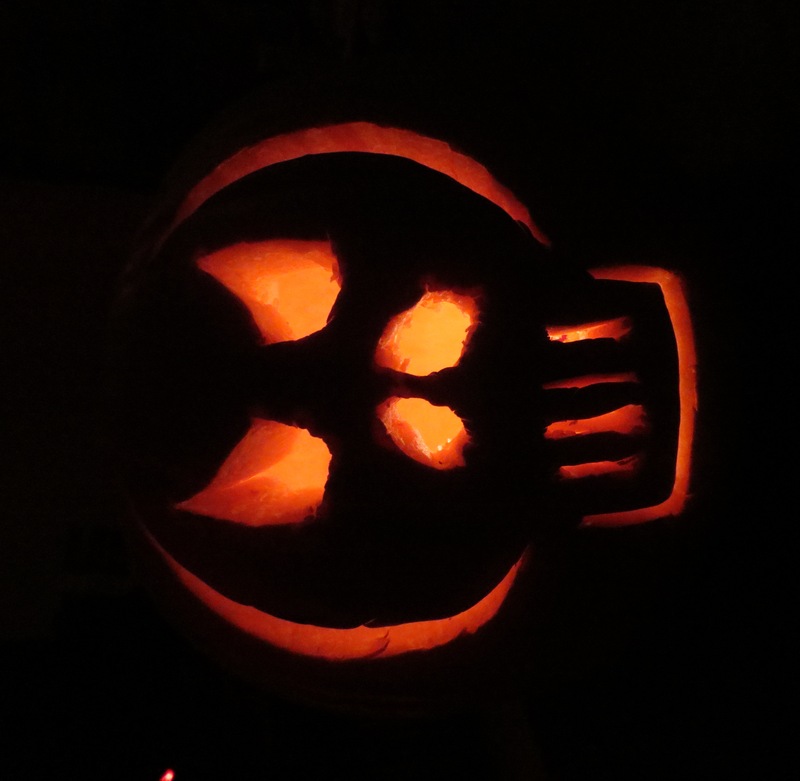 …and this was my pumpkin yesterday. Alas, poor Yorick. I knew him well. As a bonus, I give you… the Talking Heads! 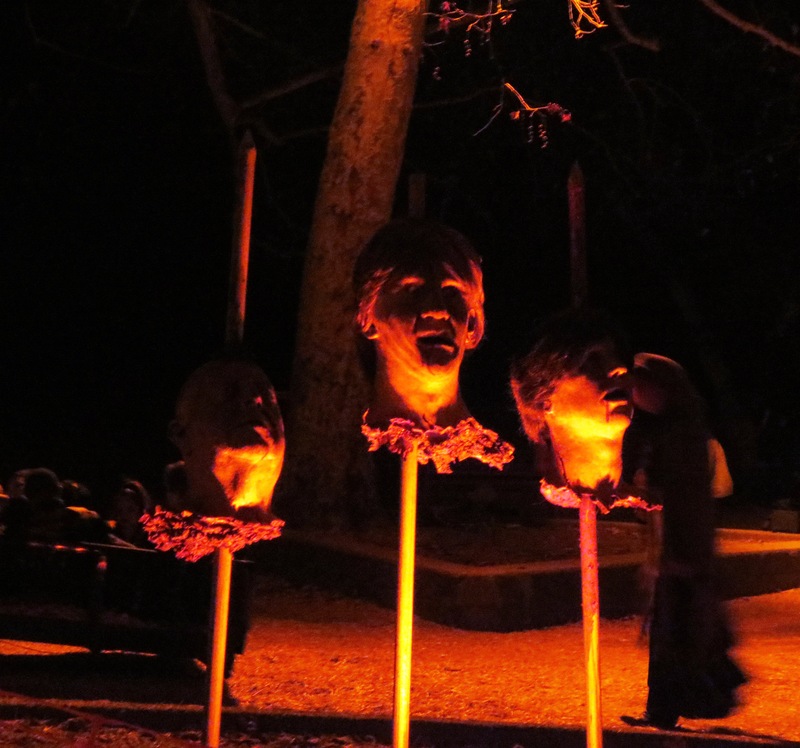 Well, just a couple of talking heads, actually, from the Los Angeles Haunted Hayride. The following story is a prequel to last year’s Halloween short, “The Hollow Sleep.” While you don’t need to read the first one to understand this, you may enjoy the connections. All artwork courtesy of Bev Parypinski. Bryan swept bits of dead leaves tracked into the funeral home on the soles of black shoes. He discreetly swept these into a dustpan and tapped the debris into the garbage. As soon as the viewing in room 3 was over, he could clean up in there, then call it a day. He hadn’t eaten lunch, and his gray uniform sagged around him. He would have eaten, but he’d spent his lunch break asking again when Mr. and Mrs. Peterson were going to give him that raise. They smiled—the sad, sympathetic smile ubiquitous to funeral directors—and said if he would only hold on a little longer, they were sure business would pick up in the new year, now that it was likely Dixon Funeral Services would close. They ushered him out the door, thanking him profusely. It wasn’t the first time they’d asked him to hold out at minimum wage. But it was getting cold now, and his trailer wasn’t too good at keeping heat. He wanted to buy a space heater as the chill of late October fell, but those were expensive. He kept sweeping in the corner, though there was nothing left to sweep. Those few people had been in room 3 for a while. Not very many of them. The dead man must not have been well-liked. Hoping to speed things along, Bryan slipped into the viewing room and stood near the back, toying with his ring of keys and sweeping dust along the hardwood floor. Three people stood around the open casket. They looked unhappy, but not in the way people normally did when grieving. One woman, frowning, pulled out a cigarette and lit it. Bryan was going to tell her that there was no smoking in here, but instead he kept quiet. At last the handful of people left, muttering to each other in muted angry tones. They hadn’t left anything of a mess behind, like some folks did, so Bryan put down his broom. He glanced left and right before heading toward the casket, curious to see who was in there. He whirled around, heart leaping into his throat. It was Mr. Peterson, leaning casually in the doorway. Bryan listened to the patter of Mr. and Mrs. Peterson’s shoes down the hall and out the front door. He turned back to the man in the casket and noticed, again, the suit. It had an older style, like something you might find at a vintage clothing store, and it was dark gray. The weave was thick and coarse—wool. Tweed, maybe. Bryan didn’t know much about suits. He’d never owned one. Most of his clothes were ripped jeans and sweat-stained t-shirts, plus this janitor’s uniform he wore to work. He never liked to go anywhere around town. He was always worried the women would sneer at him, at his clothes. There was something about the suit he liked, though. It was old but dignified. Might do a good job keeping its wearer warm in these chilly dying months of the year. What did that corpse need to keep warm for, anyway? Bryan looked around. He was the only one left in the building. The Petersons had turned off some of the lights, and he stood in semi-darkness. He hadn’t stolen anything since he was a kid, when he used to pilfer packs of gum and bottles of soda pop from the convenience store. It was awkward, trying to pull the corpse’s arms out of the sleeves, but he managed. Getting the pants off was easier once he opened the rest of the casket lid all the way. When he was done, the old man lay in his underwear and undershirt, his hairy bare legs looking thin and sad. Bryan folded the suit and closed up the casket. It was full dark when he got home. The stars were bright and the crescent moon was grinning. He’d passed increasingly decrepit houses as he’d made his way to his end of town. Some sported colored lights and jack-o-lanterns. He had no decorations for his trailer. When he got inside, he popped open a beer and unfolded the stolen suit on his couch. He ran his hands over it. The seams were fraying slightly, but it held together well. His fingers kept roving, and he found a name etched onto the inside of the collar—Adlai. Bryan was pretty sure the dead man’s name had not been Adlai. Maybe it wasn’t the man’s suit. Thinking this, he stood in front of the mirror and pulled it on. The material was thick and warm, but he felt cold. This wasn’t right. He’d never stolen from a dead body before. Bryan respected the dead. But, now that he had it on him, he realized how well the suit fit, as if it had been tailored for him. For the first time, he looked smart. Snappy. He grinned into the mirror. A movie called Beetlejuice had come out earlier that year. He’d liked it a lot. He spent the rest of the evening watching television in his new suit. It smelled a little of mothballs, as if it had been closed up in someone’s attic for a while, and he tried not to think about how a dead man had worn it only hours ago. Strangely, the longer he sat there and the more beer he drank, the colder he became. The damn trailer must have some kind of insulation problem, and even this thick suit couldn’t help. Occasionally, he found himself zoning out. He would blink at the TV and realize he’d simply been sitting there, staring and blank, for the past thirty minutes. He fell asleep on the couch, still wearing the suit. Blinking, wondering why he had said that, Bryan shrugged out of the jacket and draped it over the couch. He pulled off the pants and staggered off to bed, feeling feverish and ill. The next morning they buried the man whose name was not Adlai. Bryan helped move the casket, his heart pounding, thinking they would open it at some point—but of course they didn’t. No one wanted to see the dead man. His casket was lowered into the earth under an overcast sky, and no one knew what Bryan had taken. His mind drifted as he worked. He thought he might wear it to visit his father. He hadn’t been to see the man in years. Had been too afraid, really, but now he wanted to go. To show off his new suit. To show him that he wasn’t like his father, that he was better than his father. The gravediggers sweated even in the cool air. Autumnal colors littered the cemetery from overhanging trees, red and orange leaves falling faster than the groundskeeper could remove them. They landed over graves and around headstones, onto the mound of dirt displaced by this newly dug grave for the man who wasn’t Adlai. That’s right. This was just a costume. He wasn’t really a 28-year-old janitor paid minimum wage at a funeral home and living by himself in a trailer. His real clothing was at home. His real clothing was a nicely-tailored tweed suit, vintage, like a professor might wear. And his name wasn’t really Bryan. A little blonde girl, maybe four or five, chased after the boy on the bike, shouting, “Clayton! Wait up for me! Hey!” She wore cat ears on a headband and had whiskers drawn onto her face in marker. She tripped on the unevenly-laid sidewalk, skinning her knees. To her credit, she didn’t cry. Bryan took her little arm and pulled her to her feet. “You better catch up to your brother,” he said. She looked up at him and seemed to see something in his face she didn’t like. Slipping her arm out of his grasp, she stumbled back, still staring at him, then turned and took off again down the sidewalk. “You’re welcome,” he muttered, continuing toward home. When he got there, he took off his uniform and put on the suit. It fit so well, even better than his worn-in jeans that he’d had for years. It fit him like his own skin. Over the next few days, he formed a habit where he put on the suit as soon as he got home from work. Sometimes he didn’t even turn on the TV but simply sat there, still, silent, and staring. He usually wore it straight through the night, dozing, until he inevitably woke up on the couch, disoriented and feverish. Sometimes he had nightmares. 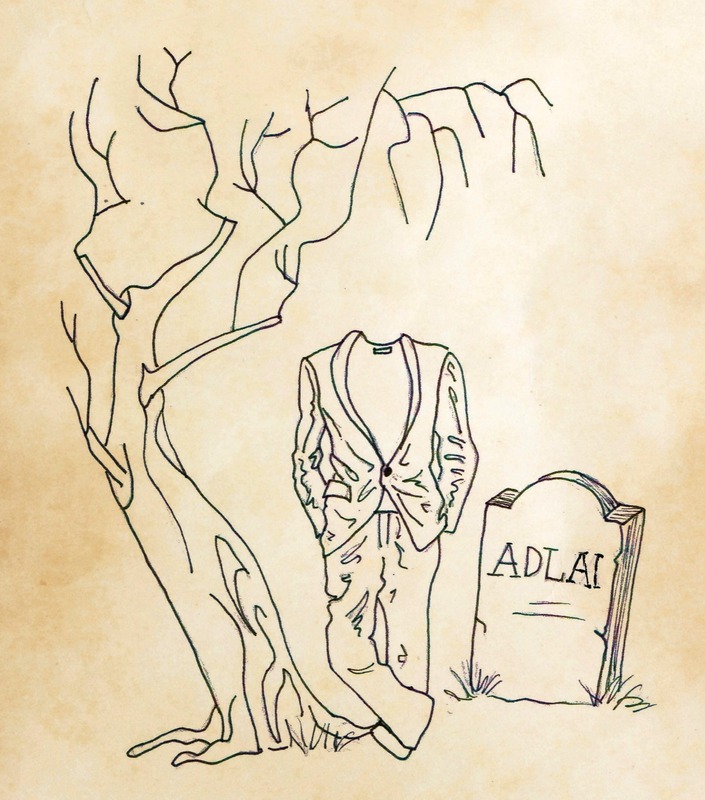 In them, the suit got up and walked around the cemetery, empty and headless, passing dead trees and stopping beside the grave of the old man whose name was not Adlai. He always woke from these dreams in a cold sweat, his skin itching as though the fibers in the wool were fusing to his skin. That’s when he would take it off and go to bed, but he could still sense where he’d left it, sitting, watching, waiting to be filled. Saturday arrived, and he decided he couldn’t just sit around at home wearing a suit of this caliber. It was time to pay his father a visit. He caught a bus uptown, along a winding road that cut through a forest of shedding trees, then changed to another bus that took him well outside the town’s limits, into the countryside, past apple orchards smelling of cider and pumpkin farms with fields of orange gourds. It was over an hour and a half before he arrived at the prison. Gated in by chain-link fences, the plain cement-hued building looked ominous and out of place against the peaceful country backdrop. He entered the visitors’ area and gave them his father’s name. They sat him at a table in a room where prisoners sat talking to civilians. Bryan waited. He thought he would be nervous, but the suit instilled a calm confidence in him that made him sit completely still until his father was guided to his table, wearing an orange jumpsuit. He looked old and haggard, black scruff growing on his chin, his black hair turning gray. His cheeks were sunken, but his eyes still had their same mean glint. Bryan stared at him and realized he had no idea what to say. As a child, he’d usually remained quiet and docile while his father wailed on him. Now, some of that old fear crept up, but it was tempered by the chill seeping into his heart, by some osmosis through his skin, from the wool. Something was filling him from the inside, like a black smoke suffusing his organs. There were two of him now: Bryan, who wore his janitor uniform, and the other one who wore the suit. He stared at his father, and for the first time, the old man averted his eyes, looking uneasy. “You should respect me,” said Bryan. The prison seemed to darken. All Bryan felt was a cold rage, an emotion he’d never felt before. It was as though the feeling belonged to someone else, and he was just borrowing it. He stood up and slammed his fist into his father’s face. The old man toppled over, and Bryan came around the table, grabbed him by the collar, and hit him again. Blood spurted up from the man’s nose, streaked down over his broken lips and teeth. Guards descended on them, pulling Bryan off of his father and out of the visiting room. He turned his head as he was led away to watch the bloodied prisoner pulled up by two guards and hauled off, his knees dragging on the floor. The look he gave Bryan just before he vanished around a corner was not a look he’d ever seen on his father’s face before, and it gave him great satisfaction. The old man had looked afraid. Bryan was deposited unceremoniously outside of the prison and told not to return. The next bus wouldn’t be coming by for a while, so he straightened his suit and started to walk. It was a long trek to the next bus stop. Over an hour. He walked calmly, though, and after a short while he noticed the bloodstains speckling the suit. His father’s blood. The fabric absorbed it well, and it darkened until it was almost unnoticeable, as though it were part of the wool. Rather than worrying that his new garment was ruined, Bryan was pleased, because the Other was pleased. On Sunday, he put his janitor uniform into a trash can outside his trailer, poured in a little whiskey, and set it aflame. He watched the golden embers race across the cheap material, burning black holes in it. The jumpsuit curled in on itself, smoldering away until it was unrecognizable. On Monday, he wore the suit to work. The adjacent cemetery was quiet, but today was the day before Halloween. Mischief Night, the kids called it. 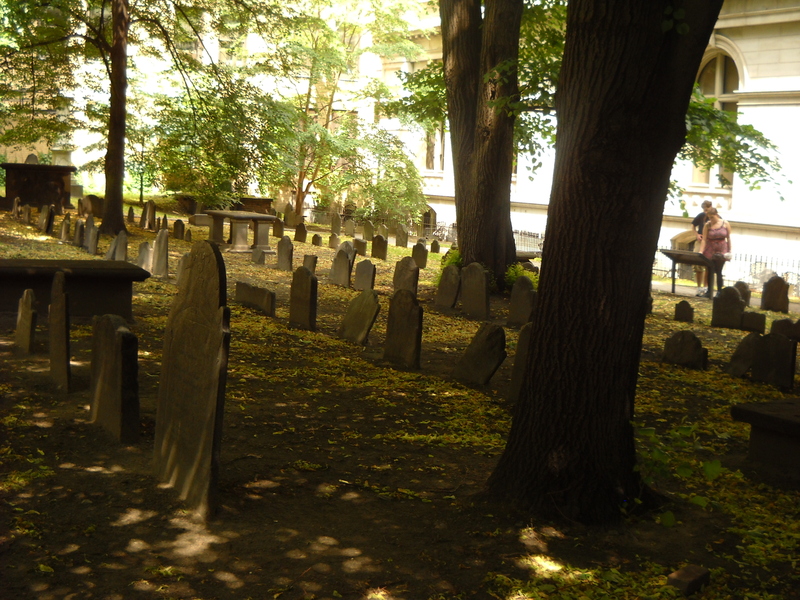 He knew that later, after they closed down and darkness swallowed the sun, costumed teenagers would hop the fence and roam the grounds, throwing toilet paper and daring each other to wander alone among the graves. For now, though, it was quiet. The air was that rare mix of cool and warm that only happened on sunny October days. He felt it, distantly, beyond the numbing effect of the tweed suit. When he entered the building, Mr. and Mrs. Peterson called him into their office. They sat at their joint desk, wearing fine black attire, and smiled identical sad, sympathetic funeral director smiles. “What happened to your uniform, Bryan?” asked Mr. Peterson. He stared at the two of them behind their polished mahogany desk. He was again divided. There was him—timid, pushover Bryan—and there was the dark presence of the Other. He flattened the key ring in his palm, carefully sliding a key between each knuckle so that they jutted out from his curled fist like talons. Before either of the Petersons could speak, he lunged forward and threw a right hook into Mr. Peterson’s neck. The keys protruding between his fingers pierced the skin. Mr. Peterson fell to the floor and cried out, blood soaking his collar. He grabbed Mrs. Peterson by her long hair and yanked her out of her seat. He brought his foot down on Mr. Peterson’s face, and the man fell still. Mrs. Peterson, screaming, kicked out her feet as she was dragged backwards by the hair, one of her high-heeled shoes sliding off. He dragged her out of the office, to the back stairwell, which led down to a dim basement room. She sobbed and pleaded, but he ignored her. That made him pause. That name. He turned to look at her. Bryan was there, but he was only an idle viewer. Attending the funeral, observing the others, but not participating. The Other was in charge now, and it was the Other who responded in a low, creaking voice entirely unlike Bryan’s. He grabbed a bottle of embalming fluid and a syringe. She screamed again and continued screaming even as he injected it into her, again and again. He quieted her by stuffing a mop head into her mouth. Holding it there, suffocating her, he injected more embalming fluid until her eyes rolled back, she convulsed, and her tissue turned necrotic around the injection sites. He brought the dead Mrs. Peterson and the unconscious Mr. Peterson to the display room—an arduous task—and picked out a casket for each of them. He laid them inside, smoothing Mrs. Peterson’s hair against the lush velvet, before closing and locking the lids. There were several newly-dug graves in the cemetery, prepped for some recently-deceased folks who would soon inhabit their chosen plots. He had no trouble pulling back the tarps covering them. What he did have trouble with, however, was lowering the caskets into the graves by himself. Still, he got the job done, and he covered them with a layer of dirt to hide them, then pulled the tarps back over. When he got home, he took off the suit. Bryan started to shake. He paced left and right, then went to the bathroom to throw up. Crusted flakes of Mr. Peterson’s blood clung to his knuckles. With trembling hands, he folded the suit, but he kept seeing Mrs. Peterson’s hair tangled in his fingers. The Other told him to put the suit back on. He would feel better. Instead, mind swimming and stomach churning, he went to Goodwill and handed them the suit. They asked if it was a donation. He said yes, take it. Take it. He bought a rope at the hardware store. He stopped at the library and looked up how to tie a noose. When he got home, he sat in his trailer, wrapping the rope around and around his hands, staring into the blank television screen and intermittently crying out or laughing. He sat like that for a while and realized that he was like his father. He was just like his father. He sat like that through nightfall, afraid to fall asleep in case the suit returned in his dreams, hollow and hungry for flesh. He sat like that throughout the following day, until trick-or-treaters knocked on his door and saw him and ran away screaming. And he would sit like that until someone found him, staring and starving and babbling about a haunted suit, and called the authorities, and locked him up where he belonged. Thanks to everyone who participated in this year’s Halloween Mad Libs! I got a ton of great responses. Now it’s time to unveil how your words fit into my story. Read the entries and pick your favorite; then vote below! Voting ends at 11:59 PM PST, October 30th. The winner will be announced on Halloween and will receive the prize, including a signed copy of PANDORA, Pumpkin Spice Coffee, and more! So, which Mad Libs story was your favorite? Don’t forget to vote by midnight on October 30th! For today’s Coffin Hopping, I’ve got a special treat for you! Bestselling author of Zombie, Ohio; Zombie, Illinois; Zombie, Indiana; and The Zen of Zombie, Scott Kenemore, is here to talk about Halloween, zombies, and his latest book, The Grand Hotel, which is available now ! Run, don’t zombie-walk, to grab yourself a copy (Trust me: I read it, and it’s amazing). Joanna Parypinski: Hi, Scott. ‘Tis the season for horror (and Coffin Hopping!). With that in mind, what’s your favorite thing about Halloween? Scott Kenemore: I just like the way Halloween makes me feel. October is a great time of year. I think starting school in the fall trains us to feel like that season is always “the beginning of things” for the rest of our lives, even if we’re no longer students (or teachers). 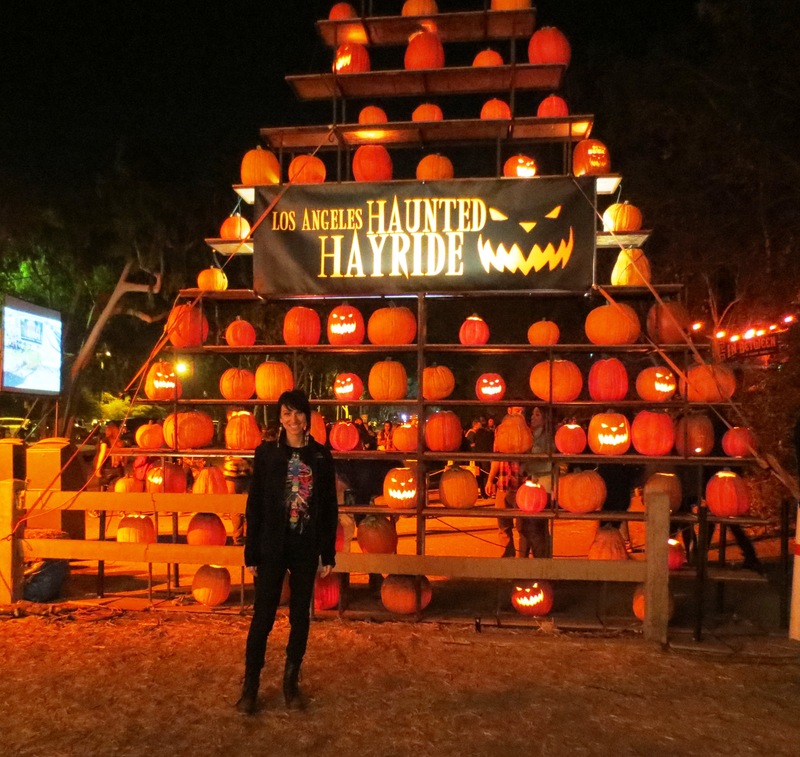 And who doesn’t like hay rides, haunted houses, and ghost story telling? JP: Agreed. Let’s talk zombies! Zombies have become extremely popular in contemporary media. What is it about them that you find most scary or compelling? SK: I like how zombies occupy a strange spot in our brains so that they feel “friendly” and “unfriendly” at the same time. When your sister comes back as a member of the walking dead, she’s somehow your sister and not-your-sister at the same time. Zombies can be very human and relatable, but concurrently repulsive and exotic and “other.” It’s an odd and unique effect. Sigmund Freud has a great essay called “The Uncanny” about this sensation. JP: Your Zombie series involves invasions in various Midwestern states (Ohio, Illinois, Indiana). What about these settings appeals to you? How important is setting in your writing? SK: I like setting my zombie outbreaks in the locations where I’ve lived because I’m curious about how these places would handle the “stress test” that zombies create. Zombie, Illinois was set in many of the places on the south side of Chicago where I used to work in community development. The character of Leo Mack is based on a number of pastors I knew who managed large- to medium-sized congregations in high crime, low income neighborhoods. It was interesting for me to think about how the south side community would do in a zombie outbreak, especially compared to more affluent Chicago neighborhoods where people might be depending on security systems and police presences that wouldn’t be there anymore. A lot of films and books have already told the story of “zombies in the suburbs.” I wanted to cover some new ground. With Zombie, Indiana, I was interested in examining the impact of zombies at the governmental level. In lots of zombie fictions, characters briefly interact with “headquarters”—or whatever remains of the government—but we never get more than a small taste of what it’s like for the people who are trying to keep order and run things. In Zombie, Indiana, I wanted to look at what it would be like for a high-level administrator when the zombies rose up. Accordingly, one of the main characters is the Governor of Indiana, and over a third of the book takes place in-and-around his “war room” at the state capitol. With Zombie, Ohio, I was also interested in a new perspective—that of the zombie itself. In many mythologies, zombies are a virus. When I was formulating how this book was going to work, I was thinking about those real-life cases of people who contract a virus but never get ill, or don’t get ill to the same extent that others do. For example, I think it’s something like 1 in every 100,000 people who get HIV never get sick. They have HIV. They can give it to other people. But it never makes them unwell. I was interested in translating that to a zombie virus. What if there’s a guy who dies and is reanimated by the zombie virus, but unlike most zombies maintains almost all of his wits? What if he’s lost most of his memory, but wants to figure out who he was and why he died? What if he learns he was murdered, and decides to solve the mystery of who killed him and why? JP: I think my favorite book of yours might actually be your latest non-zombie tale, The Grand Hotel, about a desk clerk who leads a group of visitors on a creepy tour of a mysterious, mouldering hotel. What was your inspiration behind this book? How did you come up with the idea? SK: I’ve always liked collections of interconnected short stories… especially when the stories are interconnected without first seeming to be. I think the all-time best example of this is probably a novel called Betrayals by the British author Charles Palliser. But the biggest inspiration definitely came in the form of The Five-and-Twenty Tales of the Genie, which I read in early 2012. It’s a story cycle arising out of the oral traditions of ancient India, and tells the tale of a king who has to solve riddles contained in 25 different tales in order to reach his goal. It was first put into Sanskrit by an author named Sivadasa around the year 1100, but its oral composition probably dates concurrent to the writing of Beowulf. Yet I feel like the stories in The Tales are written with a worldliness that makes them feel like they’re from the nineteenth century, not the ninth. The narrative voice is so charming and clever, and everything is done with a wink. It’s just lovely. I have probably never been as creatively galvanized by a creative work as I was by The Tales. I don’t know if The Grand Hotel is a “retelling” or “reimagining” exactly —only a couple of stories in my book are adapted directly from it—but it is, at the very least, a powerful homage. JP: The Grand Hotel has a unique structure. When you were writing it, did it feel like writing a novel or like writing a short story collection? SK: I think it felt more like writing a novel because each short story was something that the characters in my frame-story were listening to, thinking about, and—in some cases—searching for clues in. In this way, I felt like that same group of frame-story characters was always present, always with me. JP: Which of the stories in The Grand Hotel is your favorite? Why? I think editing a collection of stories is like mixing an album. (I am also a drummer.) After a while, you’ve been over the stories/songs so many times that they all start to blur together in your head. You become unable to say which one you like the most, or which one feels the most interesting. With an album, when outsiders listen to it, they can usually tell you right away which song should be the single. I had a similar experience with the early readers for The Grand Hotel. Most of them said their favorite was a story about strange happenings aboard a space shuttle mission. It’s actually a reworking of a very old, traditional American ghost story. I just updated it, and tried to add a couple of surprising twists. But there you go. I’m glad people feel I adapted it effectively. JP: Anything else in the works—another installment in the Zombie series, or something new? SK: I am working on a few different things, but mostly allowing myself to take it easy for the rest of 2014. I had two books come out this year. That was a lot of work! JP: Thanks so much for doing this interview! 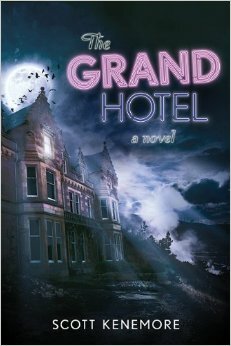 I hope everyone gets a copy of The Grand Hotel for an excellent Halloween read. Thanks for joining Scott and me in today’s Coffin Hopping! Don’t forget to enter my Halloween Mad Libs Contest. Voting for the best response starts on the 28th. What’s your favorite part of Halloween… Costumes? The creepy atmosphere? Carving jack-o-lanterns? Or is it… FREE TREATS? You’re in luck, because I’m giving away a delightfully spooky prize this Halloween! This year’s Coffin Hop contest, back for the second year running, I bring you the ever-popular and hilarious HALLOWEEN MAD LIBS! You’ll have until 11:59 PST on October 27th to enter. At that time, I’ll compile your responses and post the stories with your words. Then, dear Coffin Hoppers, I leave it up to you: you’ll have from October 28th until the start of Halloween to vote on your favorite story. Whoever gets the most votes wins! And what will you win, you might ask? Let the Mad Libs begin! Don’t forget to check out everyone else’s great giveaways for this year’s Coffin Hop. Can you believe this is not only the fourth Halloween in which this website has been in existence, but also the fourth annual Coffin Hop? You know what the Coffin Hop is, right? RIGHT? In 2011, evil mastermind Axel Howerton (author of Hot Sinatra) decided to create an online event specifically for horror writers, artists, readers, bloggers, and Halloween lovers. Word got around the ‘net, and that year, over 100 authors and bloggers participated; that number doubled in 2012, and 2013 proved to be the most popular hop to date. So, what is the Coffin Hop? 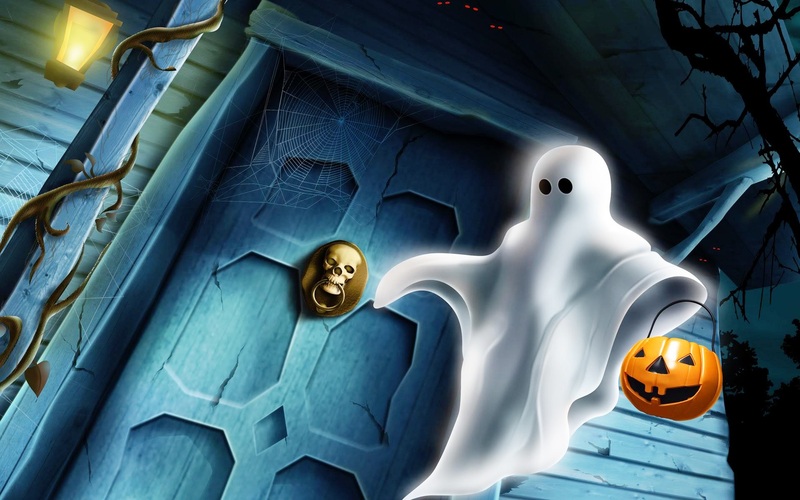 Starting October 24th and running the whole week leading up to Halloween, you’ll be able to “hop” between all of the participating blogs, which will be dedicating their posts to the holiday. 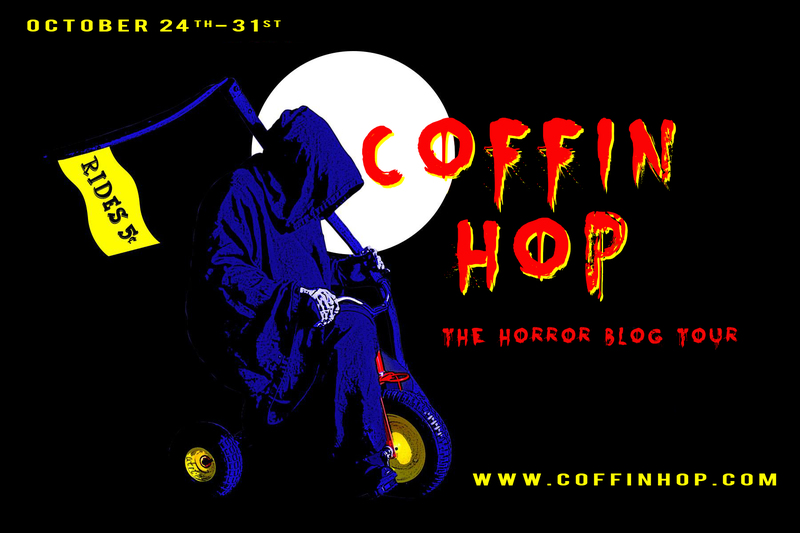 You can find the master list for 2014 and other info at the official Coffin Hop website. Some other things you’ll find at that site: a link to the official online store, which has shirts, shot glasses, hats, and other Coffin Hop themed goodies. 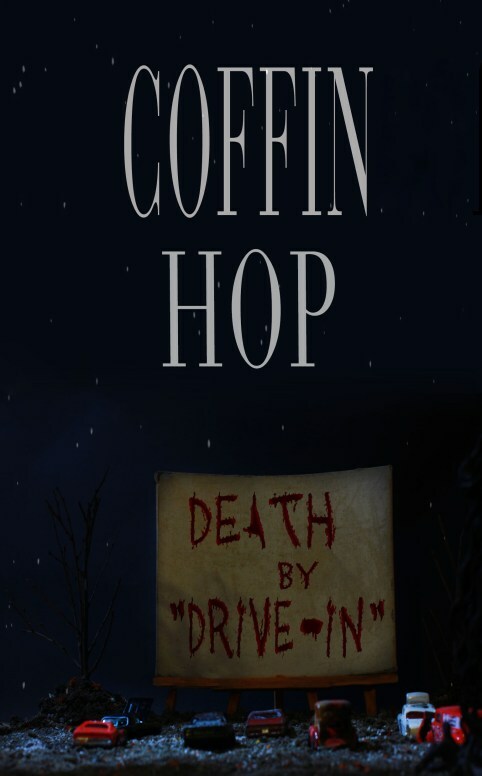 You’ll also find info on last year’s scarily successful Coffin Hop anthology: Death By Drive-In. Inspired by B-movies, this monster-filled antho is brimming with originality, hilarity, and some good old-fashioned scares. Want more Halloween in your life? Take a look at my 2011 Halloween Countdown, an epic list containing everything you need to do to prepare yourselves for Halloween. An exclusive interview with bestselling zombie and horror author, Scott Kenemore! An all-new creepy short story just for readers of joannaparypinski.com! And, back for the second year in a row… Halloween Mad Libs! 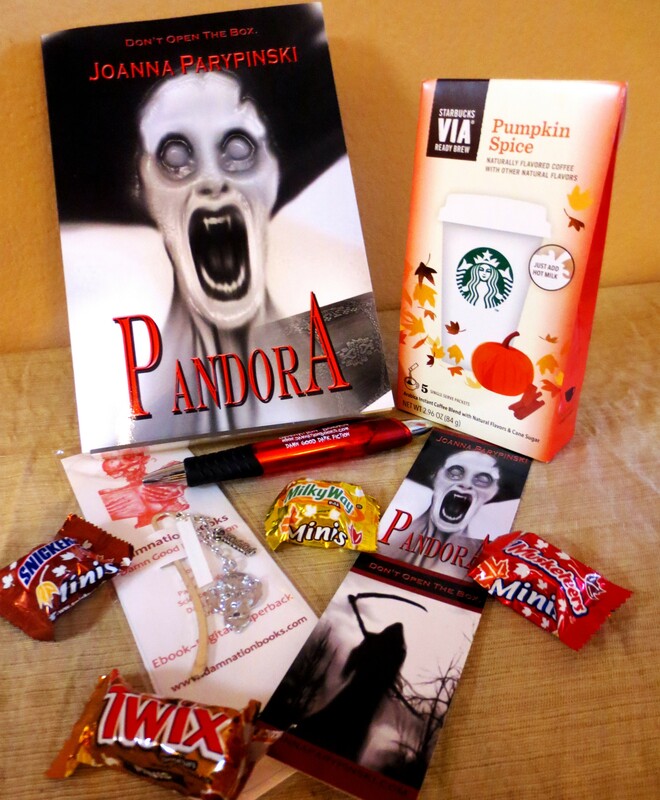 The chance to win a signed copy of PANDORA, pumpkin spice coffee, and other awesome swag! Now get out there and Hop til you Drop! Halloween is upon us, bringing with it the end of another successful Coffin Hop. Yet the festivities are far from over: it’s time to announce the winners of this year’s contests. Congratulations to the winners! You’ll get an e-mail shortly to coordinate the delivery of your prizes. For those who didn’t win, thanks for joining in on my Coffin Hop shenanigans. I had a ton of fun this year and really enjoyed reading all of your Mad Libs creations. 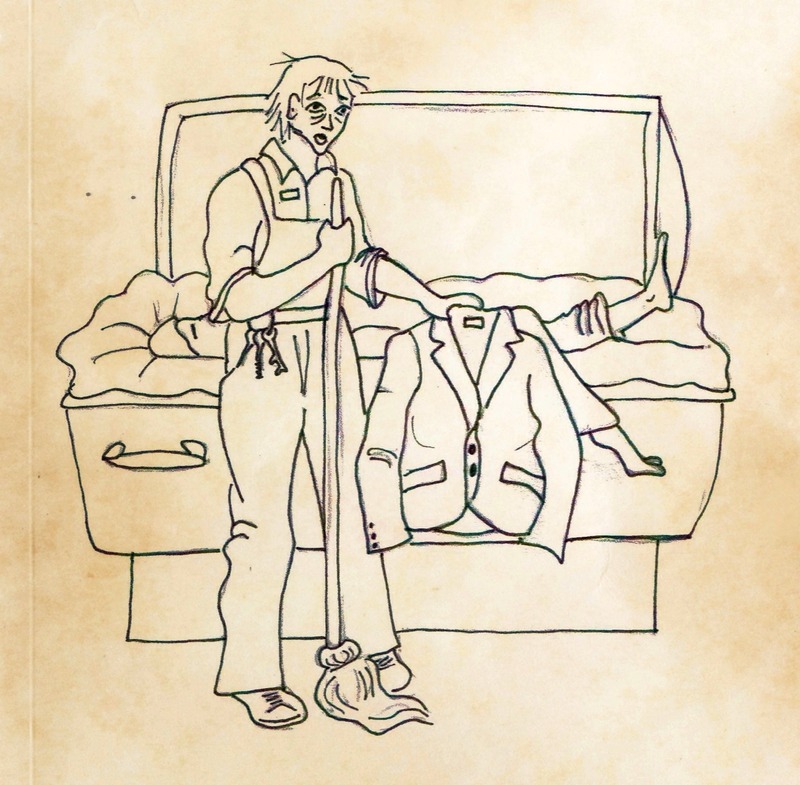 If you still want a copy of Death By Drive-In, you can hit up the Smashwords or Amazon for either digital or print format. Remember, all proceeds go to LitWorld.org to promote literacy around the world. 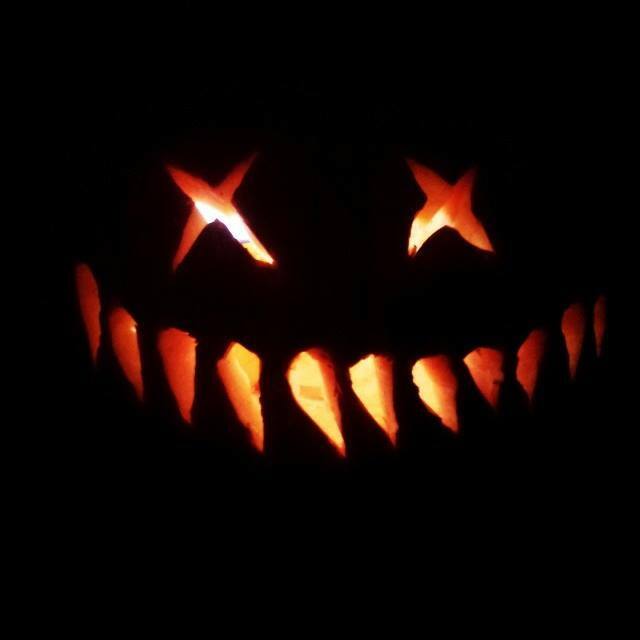 Mine ended up in the semblance of Sam from the movie Trick ‘r Treat. 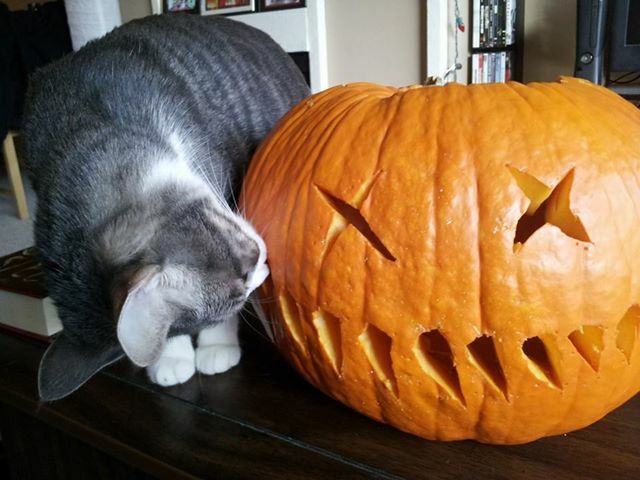 …and my cat was particularly interested in it. 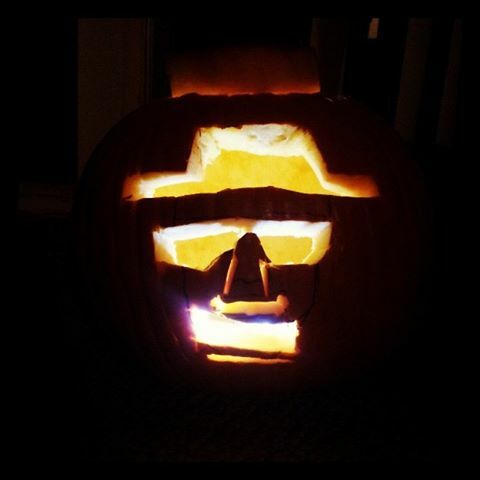 My boyfriend carved the face of Heisenberg from Breaking Bad! 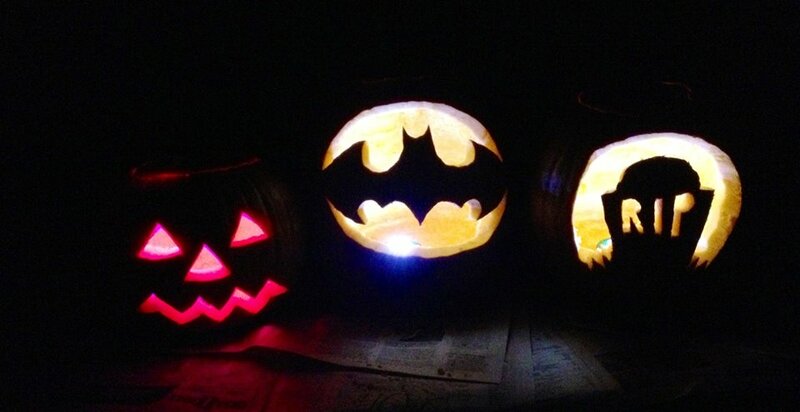 And here are three more pumpkins, carved respectively by my mother, my brother-in-law, and my sister. 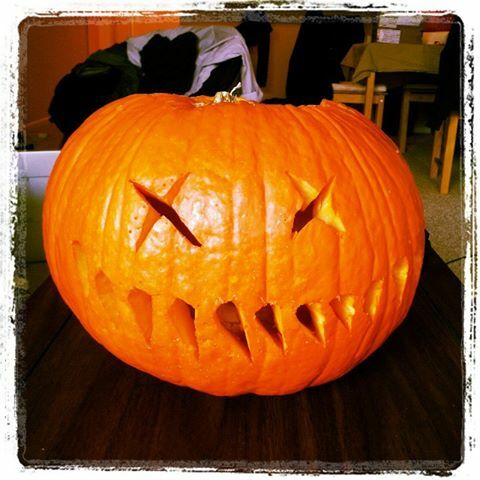 Unfortunately, two days after carving it, my pumpkin imploded in a pile of mold and orange liquid. 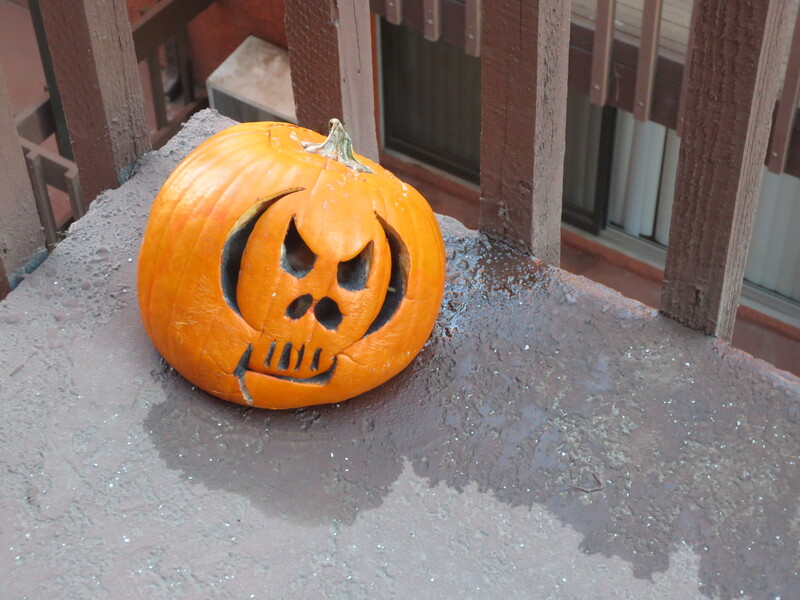 Such is the sad, brief life of a jack-o-lantern. Hey, have you voted for your favorite Halloween Mad Libs story yet? You only have until tonight at 11:59 pm until the poll closes and I announce the winner! So get those votes in, as it will determine who wins the grand prize. Not sure where to hop next? Check out Amy K. Marshall’s paranormal investigation contest and forthcoming story of Alaskan horror! Then keep hopping. This post is for the naysayers, the Halloween-haters, the snobs. For anyone who thinks Halloween is for children, and horror strictly relegated to poorly-written paperbacks. Why, you might ask, do people care about this junk? I’ve already explored the cultural significance of Halloween around the world, finding that most celebrations of the holiday center around one thing: the return of the dead to the world of the living. In every incarnation of the holiday, from Hong Kong to Berlin, the essence remains the same: lifting the veil that separates life from death. What this produces is a vital shock to our everyday lives: a holiday that, on its surface, is about children and costumes and candy, but in reality provides one day a year in which humanity is forced to dissolve their mental separation between life and death, and the potential fluidity between the two. What is a binary? You’ve probably come across it before, especially in literature: good vs. evil, north vs. south, male vs. female, fire vs. water. They are, in theory, two things that are mutually exclusive and in opposition to one another. And the biggest binary of them all? 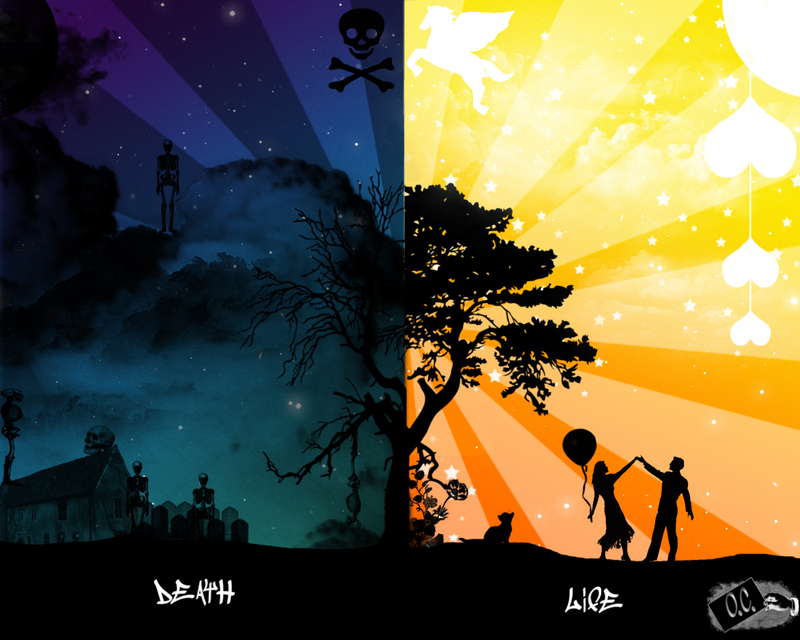 Live vs. death. If life and death are mutually exclusive—which we all agree upon, for the most part—then I suppose that’s the end of the story. Case dismissed. But then we near the end of October, and we start hearing stories about ghosts haunting their old homes, the dead roaming the night among the costumed living. So… what about those ghosts? What about zombies? What about all manner of things that go bump in the night, which seem to exist simultaneously in both the world of the living and the world of the dead? Though ghosts and zombies may not be real, shouldn’t there still be a theoretical place for them somewhere along the timeline of life and death? In case you hadn’t noticed, life is not all black and white. We live immersed in gray areas, in confusion, never quite knowing what is good and what is evil aside from our gut feelings and our learned notions. We accept binaries because they are easy; they reduce the perpetual confusion of the human race. But the only way we can expand our minds and think deeply about the complexities of reality is by shattering these binaries and thinking within the gray areas. You may think you know the difference between life and death, but do you? What of that residual spirit still lingering in the abandoned mental asylum? Is it alive, or is it dead? Or is it undead? A thing that can only exist inside of the very line separating life from death? Without Halloween, when would we be pressed to consider such ideas? Halloween gives us the perfect chance to consider these matters by forcing us to let go of the biggest binary of them all, if only for one night. A night of revelry, mischief, and allowing yourself to believe in the comingling of the living and dead. The literary possibilities of this tend to come out in the horror genre: a genre that not only explores our deepest fears about the world, but also forces us to face things that we don’t understand, things that unnerve us by their inexplicable nature, by their ability to defy our preconceived notions of reality. Not sure where to hop next? Check out GirlZombieAuthors’ post on the history of mummies used as horror monsters. The keep hopping!